Like most others, I once believed that an OEM part was always superior to an aftermarket part. Unfortunately, the word “aftermarket” seems to carry some negative connotations. So what are the real differences between an OEM part and an aftermarket part, and where do aftermarket parts find their place in this day and age? Some time ago, there was no such thing as an “aftermarket” part. Everything was made directly by the original manufacturers. Eventually, these manufacturers found it beneficial to outsource production and manufacturing duties to other factories, who were one day also able to replicate these parts and sell them to other distributors. These parts became known as aftermarket. When most people think of aftermarket parts, they probably think of a huge production line overseas pumping out mass quantities of low-quality parts. While this sometimes may not be far from the truth, these parts are usually of a higher quality than one would originally expect. 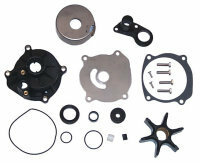 In fact, these parts are more often than not the exact same part that you would get from an authorized dealer. The reason for this is that a lot of the original manufacturers use the same factories, and even the same companies, to manufacture their parts. So what is often the big difference between these parts? The answer is the packaging the part comes in and the brand that it is labeled as being. There are several reasons why you might choose an aftermarket part over its OEM alternative. In this day and age, we find most people going aftermarket for economic reasons. OEM dealers often get by under the guise that their parts are original and therefore are superior, or that an aftermarket part is cheap and will under-perform and potentially damage your motor. This enables them to charge astronomical prices in most cases, whereas an aftermarket part is usually far less expensive. Aside from that, you may be the owner of an older motor or boat and the OEM part is no longer available, but an aftermarket company still makes a replacement for said part. Or you simply can’t find the OEM part in your area, whereas you can easily find and order an aftermarket alternative online. Perhaps you want to change either the appearance of the performance of your motor or boat from its stock condition and no authorized dealer can help you find what you need. Maybe your boat is taking too long to plane out evenly and you want to adjust the pitch of your propeller, but an OEM propeller isn’t offered in anything other than what you already have. Most likely, you can find various aftermarket propellers to achieve this. These are just a few examples of why you may find it beneficial to go with an aftermarket part. The debate rages on over which is better and why, but the evidence is clear and shouldn’t sway you from deciding to go aftermarket. Your wallet and boat may thank you for it! Saving the day, some modern power plants have engine warning systems that literally sound the alarm when the temperature begins to rise towards dangerous temperatures. When that happens, onboard firmware automatically reduces rpm so the boat can, in most cases, limp home. That technology is a great fail safe. But what would be even better is some kind of plan to prevent the overheating in the first place. With that in mind here are some ideas to keep in mind. Most of the time engines overheat because the impeller isn’t pumping water to the cylinder block and heads. So naturally it follows - keeping track of impeller health is a good idea. On inboards and stern drives that can be as simple as removing the inspection cover and looking at it. You don’t necessarily have to remove it. Visually determine whether all of the blades are present. And are any of the blades showing cracks or checkering? If so don’t hesitate to replace the worn impeller at once. Not only is it in danger of complete failure, when blades strip off they flow downstream into the engine where they could obstruct cooling flow. Another important checkpoint is the raw water filter. Go to the trouble of making sure it’s not plugged. At the same time check all of the cooling system hoses, one at a time. Start at the hull thru fitting. Visually inspect the hoses with a flashlight looking for checkering or cracks, once again, clues that near term failure is possible. Next, squeeze each hose in turn. A cooling hose should feel supple, and not hard. Most of the time when you find a hardened hose it will be on the engine. That’s because ambient engine heat hour after running hour has baked it to a crisp. Outboard motor impellers are strategically located in the lower unit. The lower unit is exposed to sunlight, which over time can bake the impeller. Baked impellers have lost resilience. Hard impeller blades strip off. Also over time, and this includes inboard and stern drive impellers, impellers lose their flexibility and take a set - meaning the blades don’t stick out from the hub at a 90 degree angle and are curved. When that happens they will still pump water, just not very much. Knowing that, some boat owners make a preemptive strike and remove and replace the impeller every two or three years. Another overheating culprit is the thermostat. Sometimes they stick open, in which case the engine may not warm up to its normal operating temperature. And in other instances the thermostat sticks tight in the closed position. The good news is changing a thermostat is easy even for a fumble fingered do-it-yourselfer. But what do you do when you think the engine is overheating and you don’t have, or simply don’t trust, the temperature gauge? The answer is as simple as the sea is salt. Shut down the engine for safety sake. Then carefully touch the cylinder head. You should almost, but not quite, be able to lay you hand on it. But if it is sizzling hot, there’s an overheating problem. If you’re squeamish about touching a warm engine, no problem, flick some water onto the engine and watch the results. If the water beads up and sizzles away into evaporation, there’s a problem. There are other high tech solutions worth considering. For about $50 and up you can buy an infrared temperature gun. To use it, simply aim it at the work piece and squeeze the trigger. The temperature display tells you how hot it is. Also you should know about temperature crayons. They come denominated in different temperature ranges. With this method, scribe a mark with the crayon on the work piece. If the crayon residue melts then the temperature is as least the rating of the crayon. Besides the temp gauge, outboard motors also shoot an indicator stream that shows the impeller is hard working. Sometimes when the stream stops it means the impeller is dead. Sometimes it just means the indicator streams plumbing is plugged up. That’s why I have a two-foot section of 300-pound monofilament fish line under the cowling tied to the engine. If the stream stops, I jab the stiff monofilament into the orifice and clean it out. If water begins to flow anew, all is well. Finally, the best prevention for engine overheating is to trust the temperature gauge and monitor it often. Consider rotating the temp gauge so its needle points straight up when registering normal engine temperature. Then if the temp begins to rise you’ll see it immediately.iboats.com carries all brands of impellers, thermostats, hoses, gauges and more. Tim Banse is a marine engines expert and has written about propulsion for Popular Mechanics, Yachting, Motor Boating, Boating Industry and other publications around the world. His current pet project iswww.MarineEngineDigest.com, a source for free information about outboard motors, stern drives and inboards. Tim’s articles will be seen here and in the iboats.com blog, plus always at www.MarineEngineDigest.com. What Exactly is a Tune-up? What exactly is a tune-up ? By definition a tune-up is a series of lubrications, tests, and adjustments that the manufacturer requires at specified intervals to keep the engine in peak operating condition. A quality shop will perform various checks and procedures to keep their customers happy and remaining loyal to them. No technician or shop owner wants to hear about a customer stranded on the water like the couple shown in Figure #1. Most outboards require service every 100 hours or once a year, whichever comes first. Evinrude E-TEC models have a longer schedule – 3 years/300 hours in fresh-water with fresh-water recreational use. Boaters in salt-water areas and those in commercial usage or high performance boating have shorter service periods because of the corrosive nature of seawater and the heavier duty operating conditions. A 4-stroke may require 50 hours or 6 month interval oil changes if the motor is run at low speeds (trolling) or high speeds for extended periods of time. If it has an “extended warranty,” in order to keep it valid, most contracts state “…the engine must be maintained per manufacture’s recommendations.” Keep in mind that the whole rig should be visually inspected for overall condition and what service needs are to be recommended. Types of usage (commercial, high-performance, etc.) and environmental conditions (salt, muddy, or shallow water) determine the type and the frequency of service needed. Discuss water pump and thermostat servicing with your customer. This also depends on operating conditions and type of use as well as engine hours. Do not attempt to service without the correct service manual, tools, supplies and a thorough understanding of the procedures. Use common sense and observe safety precautions around moving parts, flammable liquids, and high voltage ignitions. With both 2-stroke and 4-stroke engines, each particular outboard is different and may have additional items that have to be addressed. This article is only an overview of servicing procedures. The first step is a complete visual inspection of the motor along with the steering system and control cables and other boat systems. Check hoses for deterioration and inspect everything for leaks and for worn, damaged or missing items. Remove the propeller and look for fishing line in the seals. Timing belts, air filters and alternator belts are some additional inspection items along with belt tensioners and pulleys that various outboards have. Props should be rebuilt or replaced if damaged to prevent harmful vibrations from affecting the outboard. For safety, leave the propeller off until all the servicing is completed. Check and replace the zinc anodes if needed. Some 4-strokes use internal cylinder block anodes for cooling system corrosion protection. Remove the plugs and lay them out in order; note if any one sparkplug looks significantly different from the others. 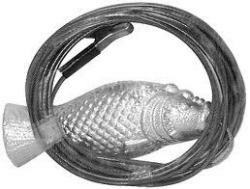 A good plug has sharp edges on the side and center electrodes with no rounded or eroded areas. Flakes of carbon mean a possible rich running, poor oil quality, leaking injectors, or open thermostats. A tan center ceramic is ideal, but in outboards, the color can vary from off white to almost black. Always check for the outboard manufacture’s latest plug recommendations since changes may have taken place since a manual was printed. Evinrude FICHT and E-TEC engines require an additional step of positioning (indexing) the plug gap within 90° on either side of the fuel injector nozzle centerline. Ignition output is important for quick starting, smooth idling and good acceleration. Perform the procedures outlined in the service manual using the proper tools. If the spark is weak or not consistent, find out why before going any further. Inspect the wiring, coils and connections for carbon tracks or deterioration. Replace and gap the sparkplugs if needed. A compression test indicates the internal condition of the motor’s pistons, cylinders and rings. Use a quality gauge and record the readings. Most manuals do not list the compression pressures but recommend results within 15% of each other on a healthy engine. Some Yamaha and Johnson-Evinrude outboards have staggered compression ratios so the bottom cylinders could have lower readings than the upper ones, but they should be close from side to side. A scored cylinder or piston may give a good reading at times because of residual oil sealing the grooves. Occasionally a low cylinder will improve after using a carbon-cleaning compound that frees up the stuck piston rings. This is a good time to torque the head bolts while the motor is cold if applicable. Perform a leakdown test on 4-stroke engines as that is the only true test of those motor’s internal health. By listening to air coming out of the intake, exhaust, or crankcase it is easy to determine the source of leakage on a cylinder and piston that does not hold at least 90% of the air from the tester. Drain the lower unit oil. If clear water comes out or metal chips are seen, the gearcase should be disassembled and inspected. 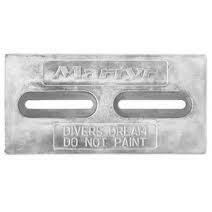 Metal “fuzz” on magnetic drain plugs is normal, but chunks or chips are not. Use the manufacture’s recommended lubricant and refill from the lower hole until oil appears at the upper threads. New gaskets or o-rings under the screws assure a tight seal. Inspect the prop shaft for wobble and the seals for damage or fishing line. Grease the splines to prevent corrosion and a stuck prop. Install a new cotter-pin if applicable. Lubricate all the fittings with approved marine grease. Hood latches and other sliding parts work easier with a slight film of lube. Use silicone spray on carb linkages, contrary to the glob of grease that some factories recommend. Avoid spraying around the starter drive to prevent it from slipping. 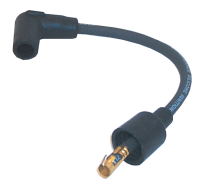 If you have a fuel injected Yamaha OX66, keep silicone away from the oxygen sensor located on the starboard side. Use care with a petroleum-based coatings if you spray it on the engine for corrosion prevention. Sparkplug wires, rubber and plastic could be affected. A greasy film will attract dirt and grit, plus it makes future servicing a sticky messy ordeal. You will spend extra time and shop rags cleaning off your hands and tools quite often to keep fingerprints from the boat’s upholstery, trim, and gelcoat. 4-strokes require and oil and filter change which is best done while the motor is warm. An experienced technician will soon learn a servicing sequence that will maximize his efficiency in performing the tune-up procedure in the shortest amount of time. For best results use an FC-W certified 4-stroke outboard oil if you do not use the manufacturer’s oil. That way it prevents any question of improper lubricant use should a warranty situation arise down the road. Synchronization of the spark timing to the throttle opening and the removal of the carb or throttle body linkage free-play are known as “sync and link” adjustments. Service manuals show detailed step by step instructions because of the importance of these settings for a smooth running motor. Do not overlook the oil pump linkage adjustments on certain 2-stroke engines. Electronic fuel injected motors may require a throttle position sensor (TPS) adjustment using a digital voltmeter. Again, follow the manual exactly for this critical setting. Test the integrity of the alarm systems. With the key on and motor off, disconnect the temp sender wire connector and ground it with a test lead. The warning horn should sound. On System Check gauges, the overheat LED will illuminate but the buzzer will not activate unless the motor is running. It is wise to test oil pressure switches and water-in-filter sensors if equipped per the service manual. Digital dash gauges may have different procedures. Using a clean glass jar to inspect a fuel sample from the engine. It should be clean and clear with no debris, water or varnish smell. A turkey-baster works well for sampling the bottom of a remote oil tanks for sludge, water, or gelled oil. The engine mounted tanks on V4 and V6 Yamahas collect condensation in a 2” clear hose and should be examined regularly. Suzuki and Yamaha recommend the annual replacement of the oil filter assembly between the tank and the oil pump. 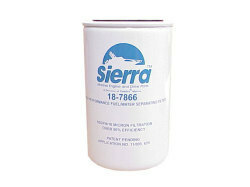 Replace and/or clean all boat mounted and motor mounted filters. If there is no boat mounted fuel-water separator, suggest one for your customer and emphasize its importance with today’s ethanol fuels which attract moisture. Pour the correct amount of a fuel additive into the gas tank to help clean out the system and to stabilize the fuel. This is very important if ethanol E-10 gasoline is used. Inspect the condition of the hoses, clamps, and any fuel valves. Use an ammeter in conjunction with a voltmeter to test the electrical system. Crank the engine for about 15 seconds with the kill switch removed. A healthy battery will show 10 volts or more during cranking or test it with a quality load tester. Make sure the battery terminals and cable ends are shiny clean and replace any wing-nuts with regular nuts and lock-washers for secure connections. Distilled water is recommended for topping off regular batteries. According to ABYC standards the positive terminals should be protected with vinyl covers if the battery is not mounted in a covered box and the battery is to be securely tied down so it will not move around in rough water. Start the motor and monitor an inductive ammeter to read the charging output. Compare the results with the service manual specifications. On computer controlled outboards, download an engine report from the ECU and save it with the customer service records. Technically oriented owners may want a copy for themselves. Check for any error codes and correct any recent abnormal indications. Set the carb-pickup timing or engine idle timing according to the service manual in addition to the linkage adjustments. Thermostat operation can be checked with an infrared temp gun or the finger method. If you can hold your fingers on top of each cylinder head for more than 3 full seconds, chances are that the engine is not warming up enough for proper operation. CARBON CLEANING Periodic use of a carbon remover is essential to long outboard life by keeping the rings and the pistons free of accumulated combustion byproducts on both 2-stroke and 4-stroke outboards. Cleaners like Mercury’s Power Tune, Yamaha’s Combustion Cleaner, or Evinrude’s Engine Tuner have instructions on the can. After waiting the recommended amount of time, run the engine for at least 15 minutes at low speed to clean things out before applying full power. Do this before changing engine oil and filter in a 4-stroke. For even better cleaning, add the proper quantity of a fuel additive carbon cleaner to the gas tank according to the manufacturer’s policies. Idle speed and carb adjustments (if equipped) must be done in the water for proper exhaust backpressure, not on a hose flusher. Use an accurate tachometer and be patient while getting everything “dialed in” perfectly. Some multi-carb and certain EFI engines may need intake vacuum balancing for a smooth and consistent idle. Do not overlook valve adjustments that may be required at specified intervals. Although they are not often part of a regular tune-up, they are an important procedure affecting the drivability and longevity of a 4-stroke outboard. The hull is the overall body/shape of the boat. Different shapes appeal better to certain boat styles. There are five basic hull types: flat, shallow vee, deep vee, round, and catamaran. The hull's size is measured by two main measurements. 1) centerline (length from tip of the bow to the edge of the transom) and, 2) beam (width from the widest point on the gunwale). At the tip/head of the boat is the bow. The bow of the boat can be opened or closed, depending on the make. Some open bow models will have installed seats/seating groups. Simultaneously, some models include windshields and/or bow rails, whether they are opened or closed bow. The stern and transom are at the rear of the boat. Propellers and engines are always in the stern/transom area, which gives all boats their primary source of movement. This area includes features such as engines (specifically outboard), transom ladders, swim platforms, and so on. The port side of a boat indicates the left-hand side of the boat when standing in the boat and facing directly toward the bow. Similarly, the starboard side of the boat is the right-hand side. The sides of the port and starboard positions where different accessories and components are mounted is the gunwale (gun-nel). The gunwale allows several different features to be installed onto it (depending on the style of boat), such as bimini tops, wakeboard towers, side rails, etc. There are three main styles of engines: outboard, sterndrive, and inboard. Engines are stored either at the transom of the boat or stored within the hull with the rest of the engine protruding out the backside. iBoats.com has one of the most extensive selections around for outboard motor parts, propellers, boat motors, and engine parts. With boat motor parts for Honda Marine, Yamaha, Suzuki, Evinrude, and many others, our selection covers everything from internal engine parts to the repair manuals you need to fix them. Once you have your boat motor humming like new again, make sure you stock up on the maintenance products to keep her in peak condition. While you're at it, pick out a fresh new propeller and a skeg protector to keep everything safe.